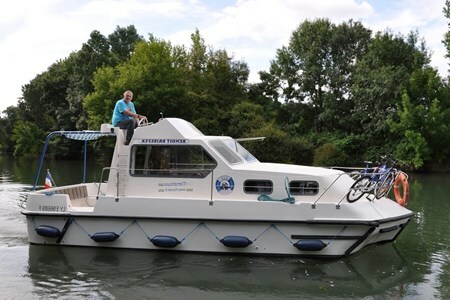 Get on the Triton 860 Fly boat for a cruise along France's canals. It has 1 cabin and a nice living room. Interior equipment: - 1 cabin 1 with double bed and a single bed. - 1 shower, 1 electric toilet.